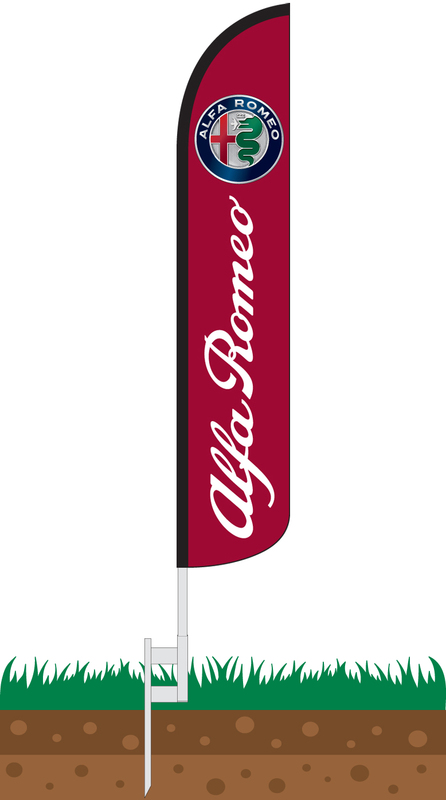 Our Alfa Romeo Wind-Free Feather Flag features the words "Alfa Romeo" emblazoned in white upon a dark red background. Printed above this is the legendary Alfa Romeo Crest. 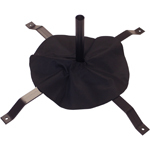 This flag is ideal for car dealerships who wish to associate themselves with the Alfa Romeo brand. 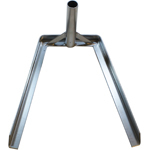 These flags can be used to decorate your property outdoors in front of the showroom or along the side of the road, or indoors at trade shows and sporting events. This striking design is sure to capture the attention of customers who are interested in the Alfa Romeo brand. 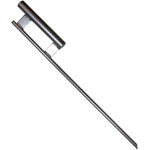 Enthusiasts of the Alfa Romeo brand may also wish to use this flag to fly the company colors and emblem. 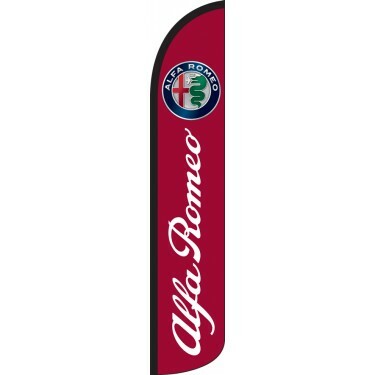 If you love Alfa Romeo, want to associate yourself with the brand, or want to attract customers to your car dealership, this is just the flag for you.